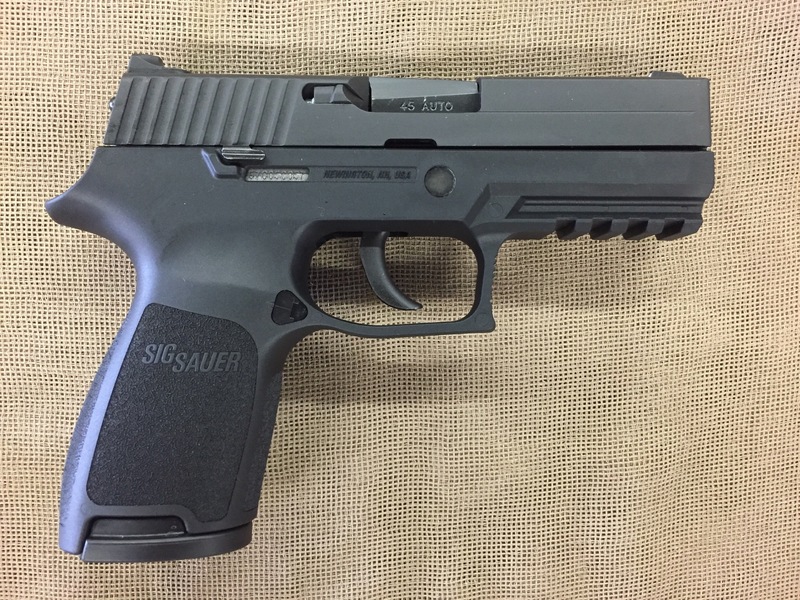 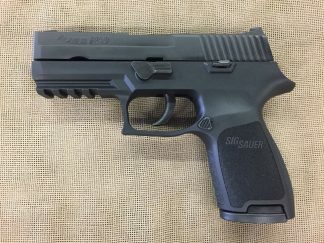 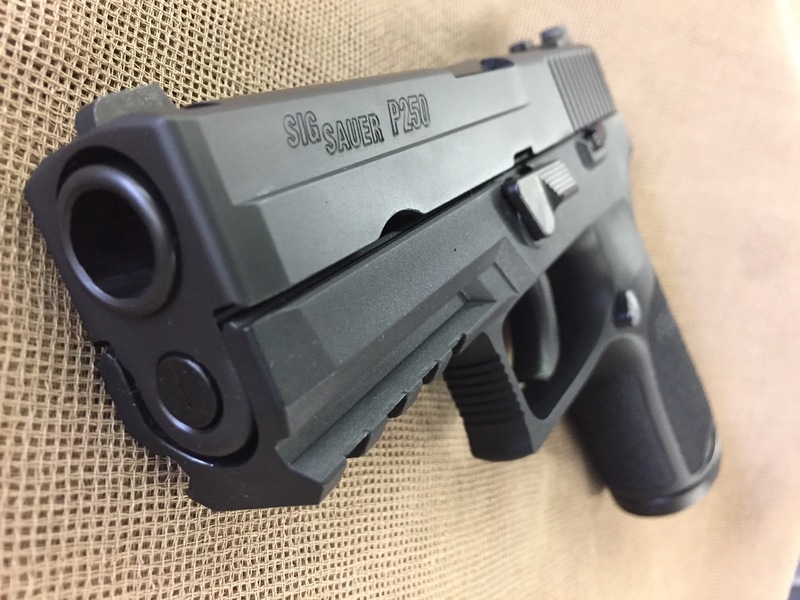 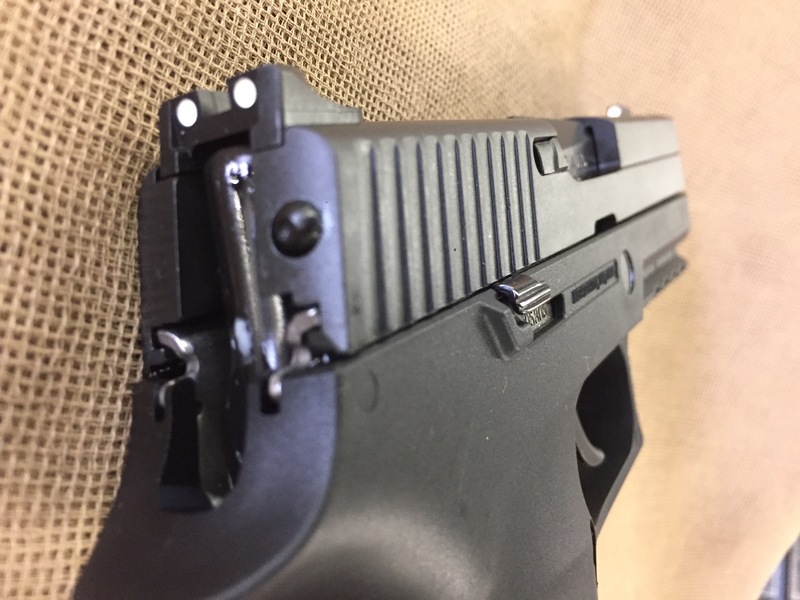 New Sig Sauer P250 compact .45 Auto. 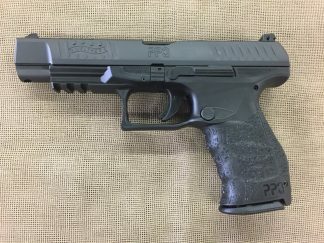 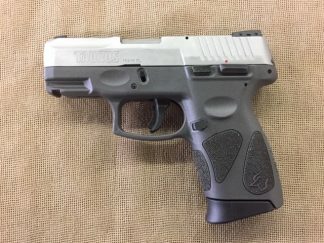 9+1 capacity, two magazines, 3.9″ barrel, fixed sights, modular synthetic frame with accessory rail and DAO fire control, Nitron finished slide, 25.1 oz. 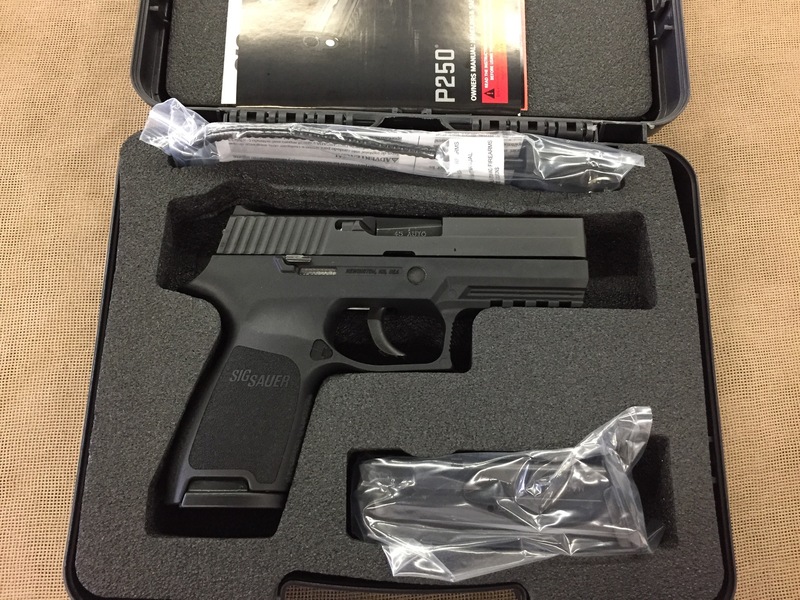 An ergonomic, mid size .45 Sig with a surprisingly smooth factory trigger pull under $400!